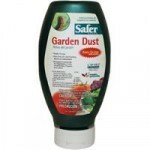 PRODUCT DESCRIPTION: Ready To Use powder and granular, Organic pest control – Contains bacillus thuringiensis (.4365%). OMRI Listed® and compliant for use in organic gardening. Beans, Beets, Broccoli, Brussels Sprouts, Cabbage, Carrots, Cauliflower, Celery, Chinese Cabbage, Collard, Cucumbers, Eggplant, Escarole, Endive, Kale, Kohlrabi, Lentils, Lettuce, Melons, Mustard, Peas, Peppers, Potato, Spinach, Squash, Sweet Corn, Sweet Potato, Tobacco, Tomatoes, Turnip Greens, Turnips. Kills armyworm, diamondback moth, green cloverworm, hornworm, imported cabbageworm, looper, melonworm, pickleworm, mimosa webworm, salt marsh, caterpillar, corn earworm, bollworm, tobacco budworm, dewberries, grape leaffolder/leafroller, grapeleaf skeletonizer, salt marsh caterpillar, omnivorous leaf roller, ello moth, io moth, oleander moth. RATE OF APPLICATION: Use 2 oz per 50 sq/ft of plant foliage and retreat weekly until all pest activity is gone.